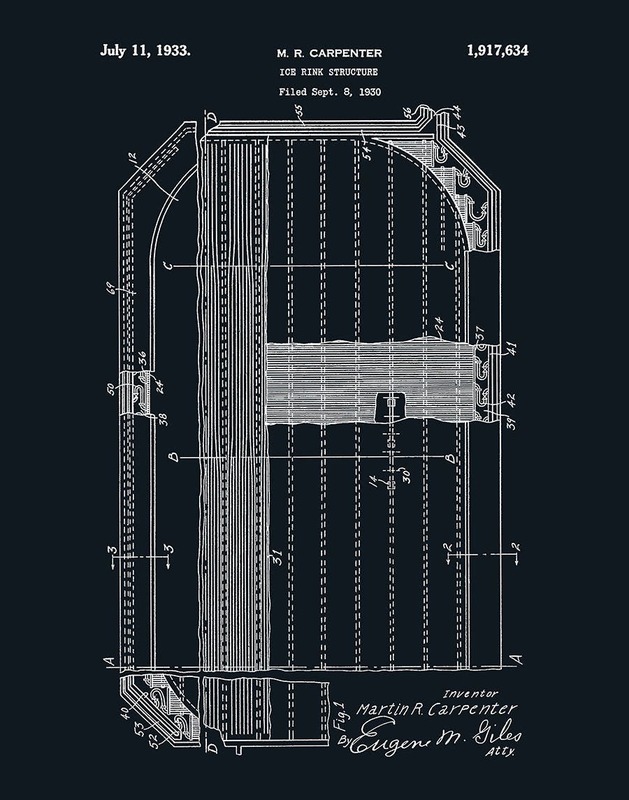 1933 Ice Rink Structure Patent designed by Martin Carpenter. The United States Patent and Trademark Office issued the patent on July 11, 1933. 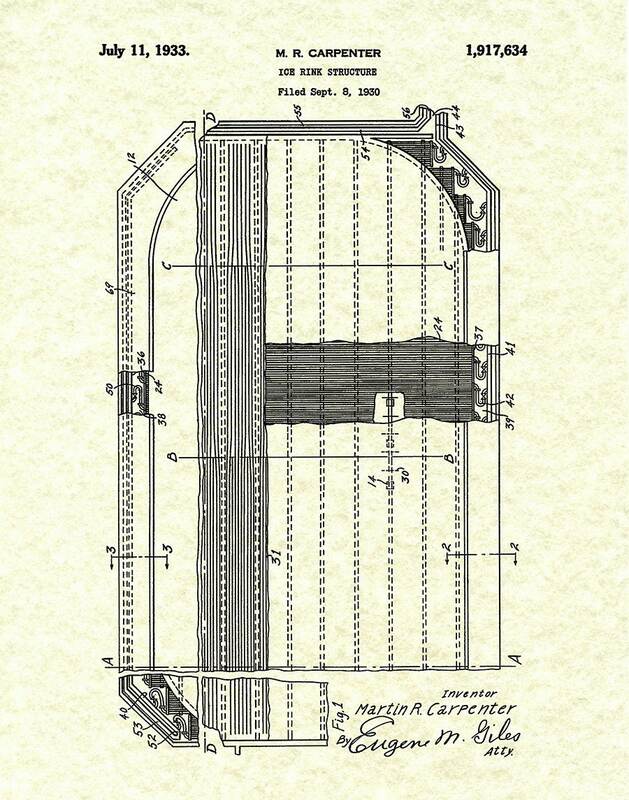 All patent and engineerin drawing print pages are restored and digitally enhanced to remove as many flaws as possible while maintaining the integrity of the original document. 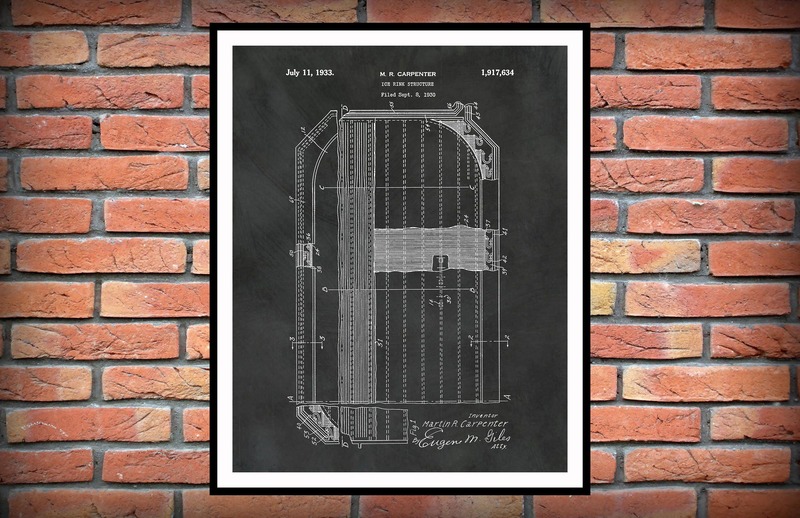 Patent prints and engineering drawings are a wonderful way to own a piece of history and display your favorite inventions on your home or office walls.